Early in our history, the leadership of Extended Grace was applying for a grant. This particular grant was geared toward peer programs so the grant application asked us to identify who on our leadership team had a mental illness – including addiction and cognitive disabilities. Simple right? And yet, I found myself struggling with completing the grant. Some people had told me about their own experiences with mental illness, but I didn’t feel comfortable “outing” them to the rest of the group. So at our next meeting I mentioned this requirement. Nobody really had anything to say. We left the meeting and I was still stymied. I sent an email in follow up and reminded people that I needed them to let me know if they had a mental illness. I admit I was surprised when one of the people on that team who had not talked to me before sent an email to me alone. It said something like, “I don’t normally share this with other people, but I have been taking antidepressants for years.” The next email was also a surprise. It was a reply all to the whole group and said in essence: “If we can’t talk about this in this group, what are we doing?” She then shared her own experience with mental illness with everyone. Two of the people whose struggles I did know about shared next. Then the person who had sent that first email – the one that went to me and me alone – shared with everyone else. Before the end of the day each and every one of my leadership team had shared that they had mental illness or had an immediate relative with mental illness. The stigma of mental illness is particularly destructive because it makes the actual condition even worse. And the absurdity is that mental illness affects all of us in one way or another. Let’s look at this slide. We treat the brain, the most complex organ in our body, differently than any other organ or body system. We would never tell someone with diabetes to get over it. But we do that with mental illness – as if we think the person struggling is in control of their illness and simply chooses not to get well. I have one son who battles depression and anxiety and another who lives with schizophrenia. One of the hardest things about having kids with mental illness is that you have to determine who it’s safe to share that information with. No one gets on Facebook to make this announcement so that they can receive a shower of congratulations. When my youngest was in the hospital, no one visited him and brought flowers. When he got out of the hospital, no one called to see how he was doing or to offer to bring a meal. We don’t treat mental illness the same way we do other illness. And we don’t talk about it because it is fraught with misunderstanding and stigma. 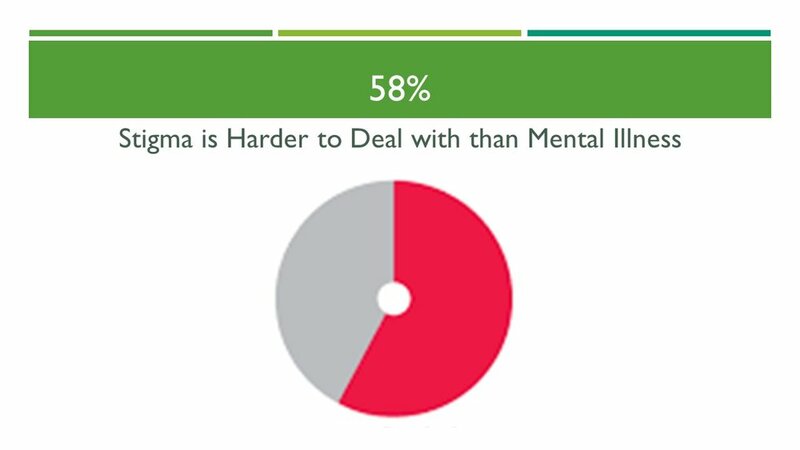 There are 61,500,000 Americans who experience a mental health disorder in any given year. That's one in every four adults. And mental illness doesn’t discriminate. It strikes people of every race, gender and economic background. Even today many people seem to believe you can overcome mental illness with simple willpower. I wish that were the case. It’s not. Mental illness is a serious medical condition that requires the same kind of care that any physical illness receives. It is estimated that untreated mental illness costs the United States $100 billion dollars a year. This number includes the consequences of unemployment, unnecessary disability, substance abuse, incarceration and more. Extended Grace takes stigma seriously and we are actively working to dismantle it. We work to create environments where people feel safe sharing their reality and are met with compassion and help, not fear and distance. We understand that people need other people and work to nurture healthy relationships for people who are at risk of becoming isolated. 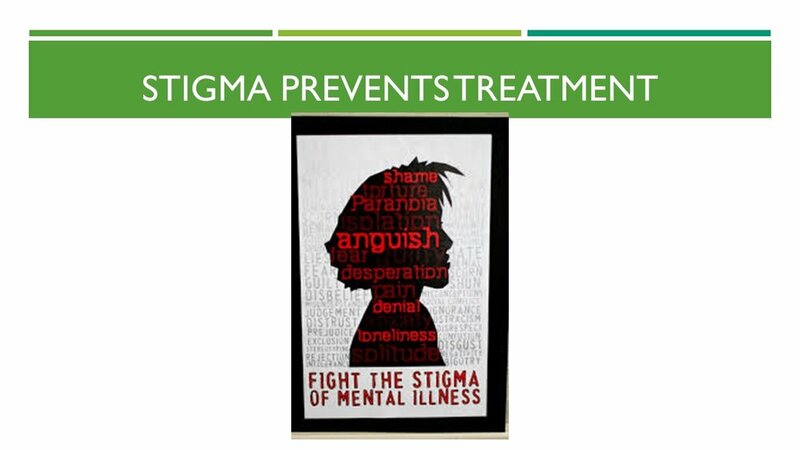 We know that mental illness and stigma are community issues and they require community solutions. One of the solutions we offer are community conversations – just like the one we are having today at this Inspire! event. Like the Town Hall Meeting on Mental Illness that will take place on Monday night. Those conversations led to the opening of the Momentum Center, Social and Recreational Opportunities for people with mental illness, addiction and disabilities. And combined with Just Goods, we have a physical location for social integration where we can break down stereotypes and dismantle stigma. We also host support groups. Don’t think the irony is lost on me that at the same time we are trying to end stigma, we are also working to create a place where people can get help and also maintain their anonymity. When my son was finally diagnosed with schizophrenia, his health provider gave us a brochure that said we should be very careful about who we tell – for instance, we close family and friends might be okay, but definitely don’t say anything to people at work. I believe that if we all started talking out loud about our mental health and the mental health of those we love, we would discover we have nothing to hide – that we all are truly in this together. Everyone of us can work to end stigma. a. Ignorance is a constant companion of stigma. Learn. Become informed. Then share that information with others. b. Vote for and support politicians who will help end mental health disparity in our country. c. Whether its meditation, music or medication, when you talk to others about your health include your mental health as an integral part of your well-being. d. Cultivate compassion. Listen to what others are trying to say and allow room in your world for their reality. e. Embrace neurodiversity and recognize that it doesn’t define the person. My son is not his diagnosis. f.Politely educate and inform others when they say things that are untrue or hurtful about mental illness and the people who struggle with it. Be a voice for the voiceless. Finally, share your own story with others. Maybe not on a public stage, but with somebody else. Sharing your story does at least two things. It releases the power of stigma to control you, and with it the unnecessary but too often accompanying emotions of guilt and shame. Second, it tells that person you are talking to that they are not alone and that they have a safe place to share their own story. In the end, one of the most important things you can do is advocate. Our whole healthcare system is in many ways broken. Mental health within our healthcare system is profoundly flawed and can be nearly impossible to access. My son would never have gotten the help he needs if he had to try to navigate that system on his own. I knew much of the system from the inside because of my previous work and still I struggled to figure things out. Often people with mental illness have no advocates. The very nature of their illness has driven people away and severed the most important relationships any of us have in this life. So they need us. They need us to speak up, to vote, to be part of the change. Special Thanks to Tom Dooley, Jessica Christopher, and Cali Caluza for being this month’s presenters! We’d also like to thank Marco’s Pizza in Spring Lake for being this season’s food sponsor! Thank you to Dan Anderson for being our Song Leader. Special Thanks also goes to Leijhi Koval for being our Underwriter, and Dan Qualls for his Mudita Gift Sponsorship! Older PostDid you miss our Summer Series on Exploring Addictions?